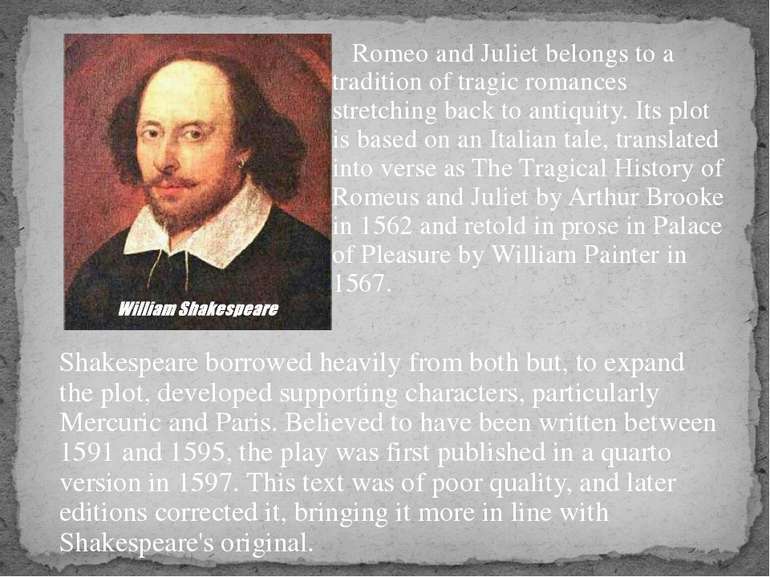 Romeo and Juliet is a tragedy written early in the career of William Shakespeare about two young star-crossed lovers whose deaths ultimately reconcile their feuding families. 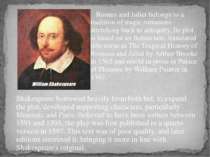 It was among Shakespeare's most popular plays during his lifetime and, along with Hamlet, is one of his most frequently performed plays. Today, the title characters are regarded as archetypal young lovers. 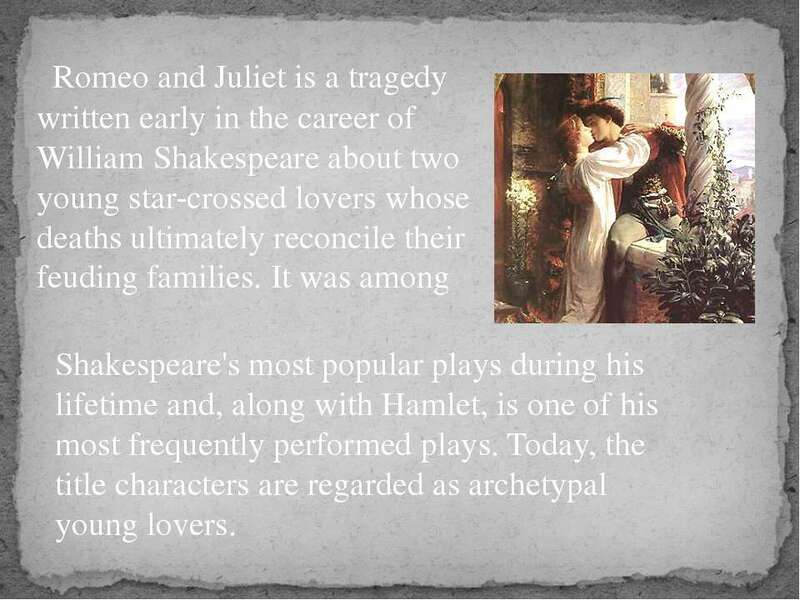 Romeo and Juliet belongs to a tradition of tragic romances stretching back to antiquity. Its plot is based on an Italian tale, translated into verse as The Tragical History of Romeus and Juliet by Arthur Brooke in 1562 and retold in prose in Palace of Pleasure by William Painter in 1567. Shakespeare borrowed heavily from both but, to expand the plot, developed supporting characters, particularly Mercuric and Paris. 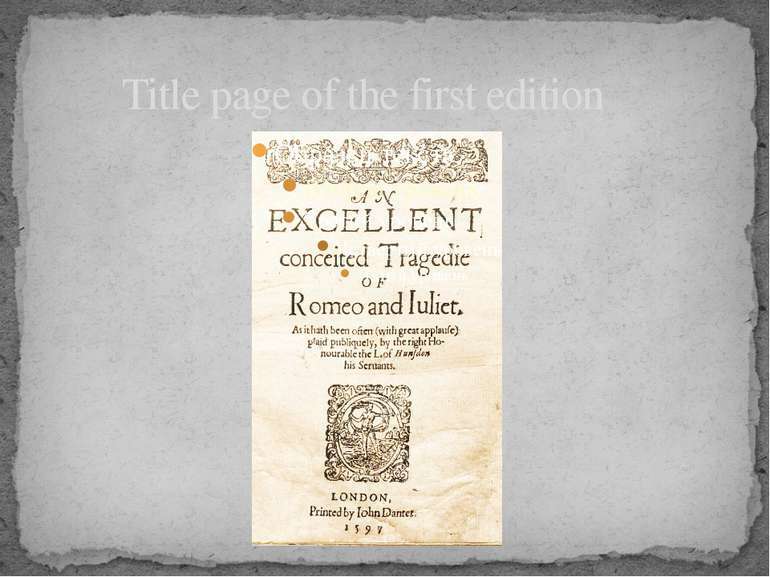 Believed to have been written between 1591 and 1595, the play was first published in a quarto version in 1597. 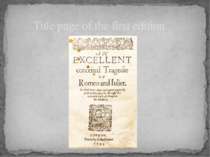 This text was of poor quality, and later editions corrected it, bringing it more in line with Shakespeare's original. Ruling house of Verona: -Prince Escalus is the ruling Prince of Verona -Count Paris is a kinsman of Escalus who wishes to marry Juliet. -Mercutio is another kinsman of Escalus, and a friend of Romeo. 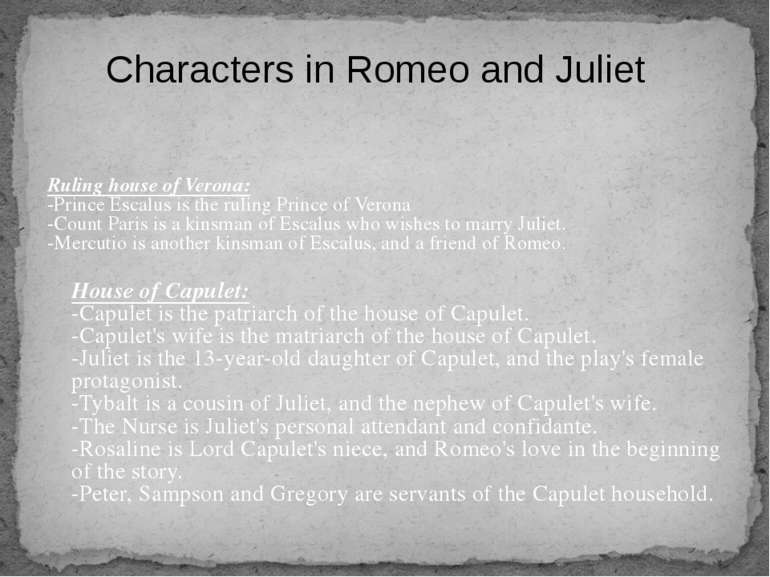 Characters in Romeo and Juliet House of Capulet: -Capulet is the patriarch of the house of Capulet. 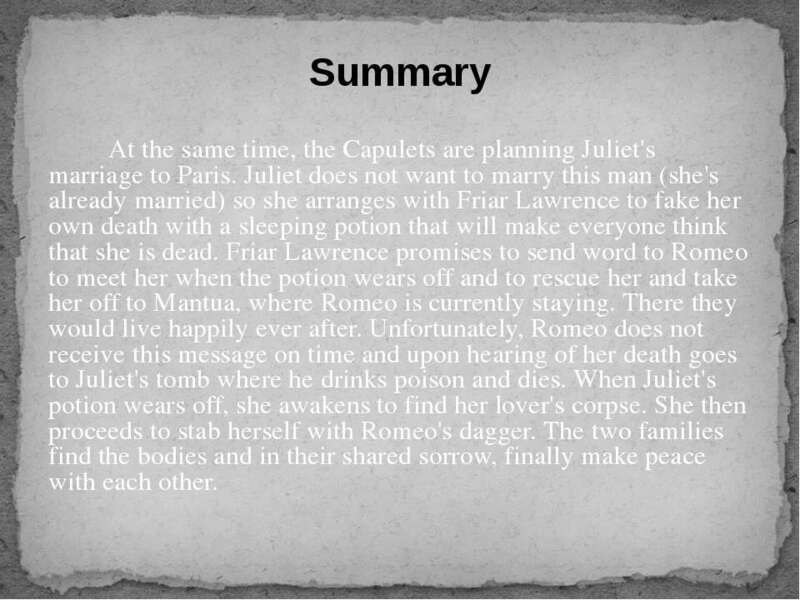 -Capulet's wife is the matriarch of the house of Capulet. 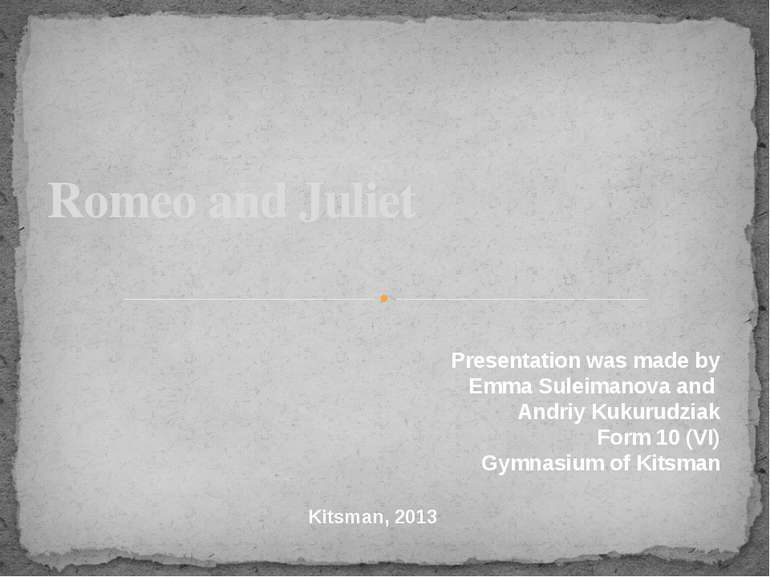 -Juliet is the 13-year-old daughter of Capulet, and the play's female protagonist. 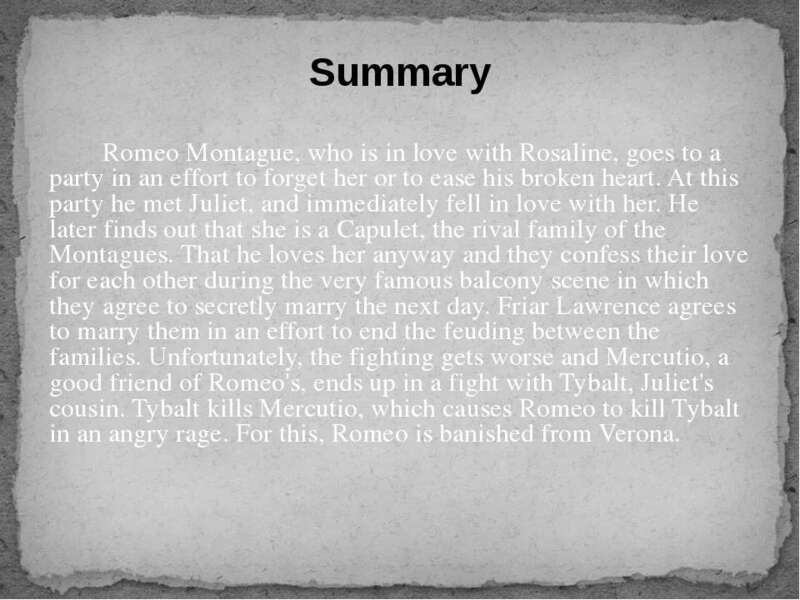 -Tybalt is a cousin of Juliet, and the nephew of Capulet's wife. 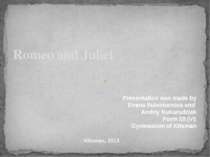 -The Nurse is Juliet's personal attendant and confidante. -Rosaline is Lord Capulet's niece, and Romeo's love in the beginning of the story. 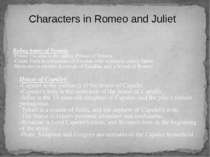 -Peter, Sampson and Gregory are servants of the Capulet household. House of Montague: -Montague is the patriarch of the house of Montague. -Montague's wife is the matriarch of the house of Montague. 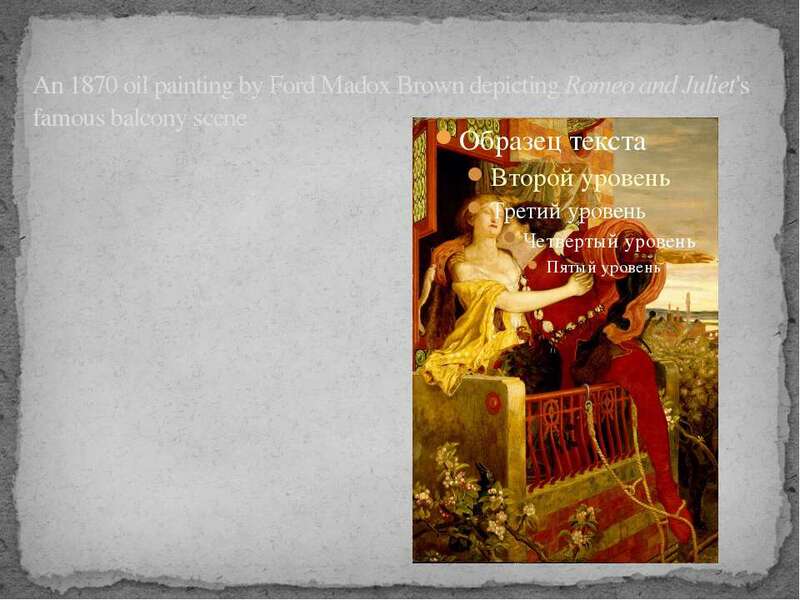 -Romeo is the son of Montague, and the play's male protagonist. 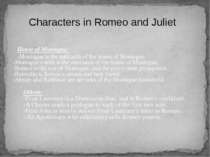 -Benvolio is Romeo's cousin and best friend. -Abram and Balthasar are servants of the Montague household. 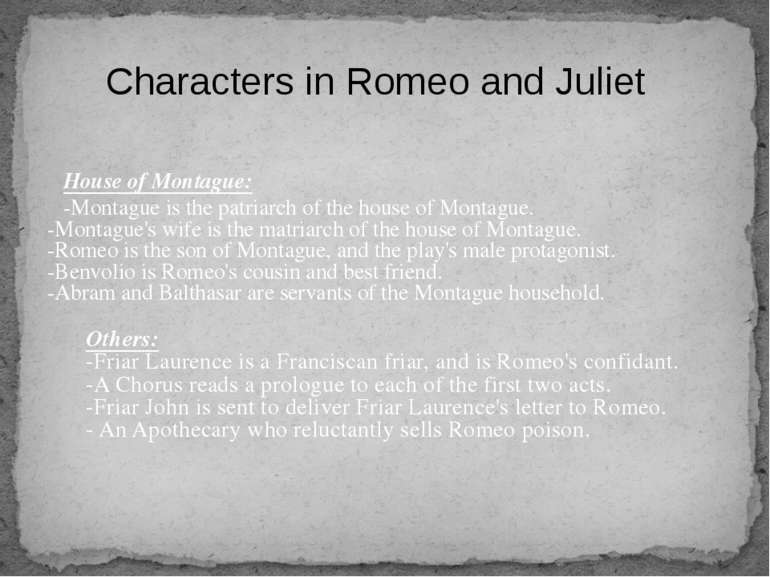 Characters in Romeo and Juliet Others: -Friar Laurence is a Franciscan friar, and is Romeo's confidant. -A Chorus reads a prologue to each of the first two acts. -Friar John is sent to deliver Friar Laurence's letter to Romeo. 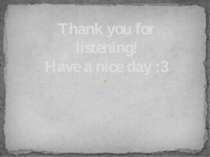 - An Apothecary who reluctantly sells Romeo poison. 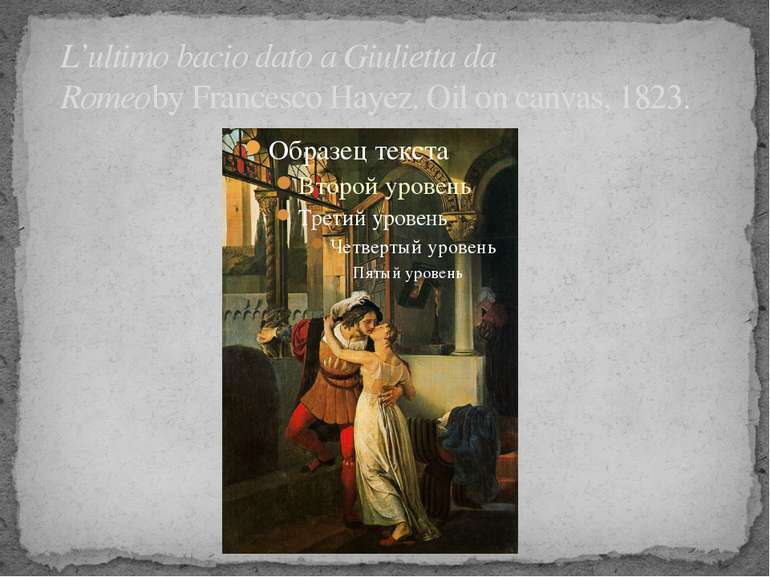 L’ultimo bacio dato a Giulietta da Romeoby Francesco Hayez. Oil on canvas, 1823. Урок - диспут Що для мене означає бути культурною та ввічливою людиною?